I haven't used this one before, so I thought I should just give it a try and review it. Lara doesn't like this one at all, in fact, it's one of her misses in her February hits and misses vid. 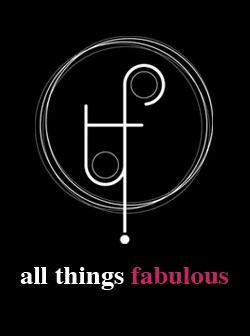 Nail polish for ultimate colour, ultimate gloss, ultimate coverage. The first coat (see above) is pigmented but not enough - I like my nail polish darker. It dried up pretty fast, after about 1 minute. It looks well pigmented after the 2nd coat. I applied a slightly thicker coat, so took a bit more to dry. 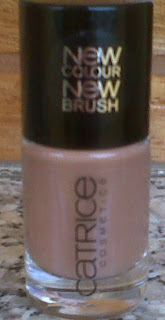 Once it was dry, I didn't get any smudges, like certain nail polishes. 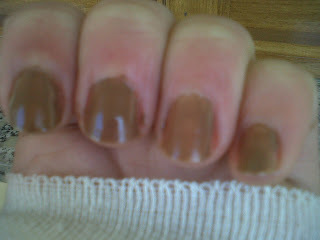 The colour in my opinion is not bad, but as I already said, I don't like brown nail polishes. 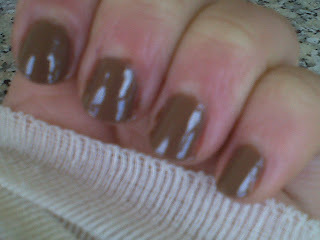 This one reminds me of the e.l.f nail polish in Smoky Brown.